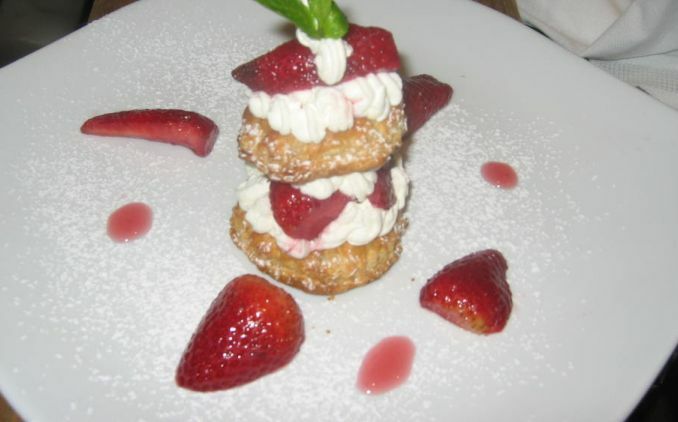 A Napoleon or Mille-Feuille is usually made of several layers of puff pastry alternating with a sweet filling, typically pastry cream or sometimes whipped cream or jam. 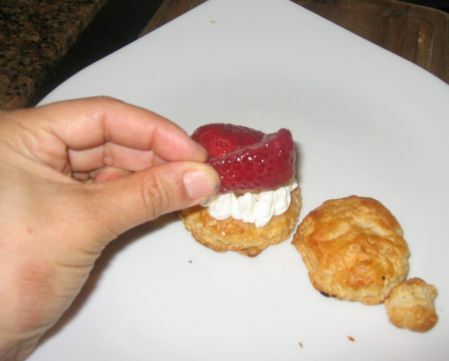 I decided to fill my napoleon with whipped cream simply because it is really fast to make. 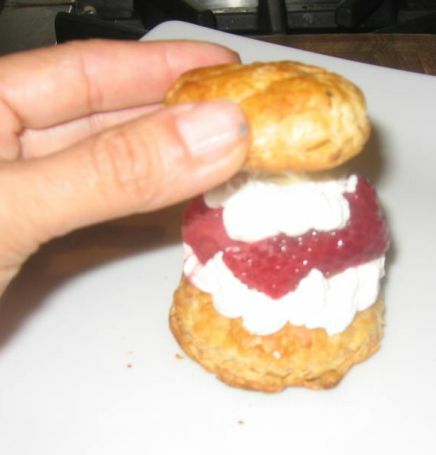 After having dinner and I wanted something sweet so I have to figure out something to make that requires very little time so I decided to make a simplify Napoleon! 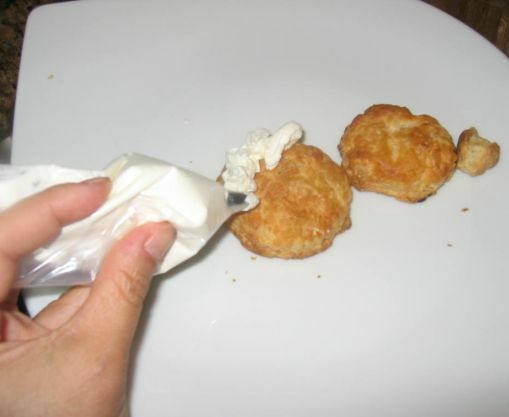 It took me perhaps about 20 minutes to make it and the result is pretty impressive and also delicious! 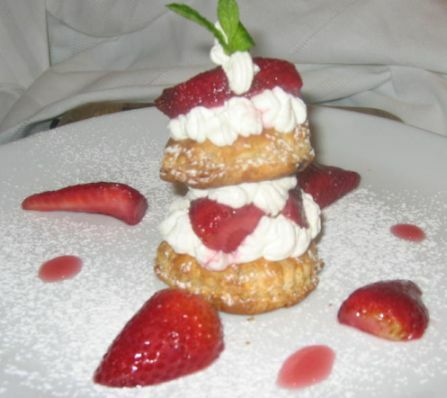 I used two layers of Puff Pastries and filled it whipped cream and macerated strawberries. If I wanted it to be a little fancier I could drizzle a bit of melted chocolate and it would be sensational but again I wanted something fast so Chocolate was omitted. 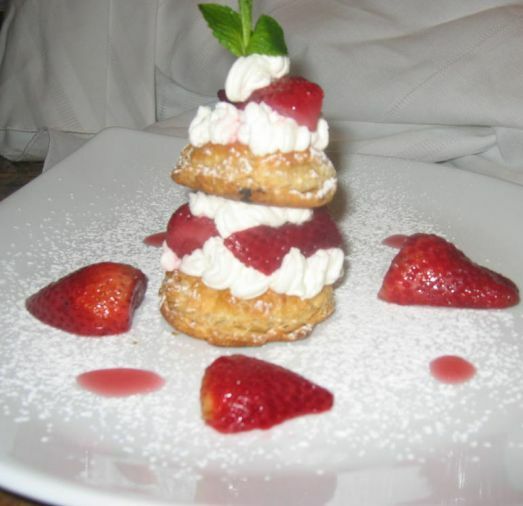 When the puff pastry is baked, layers puff up, creating a flaky layers of delicate pastry which are made rich and buttery by the high amount of butter in the puff pastry dough and then combined with whipped cream and macerated strawberries! 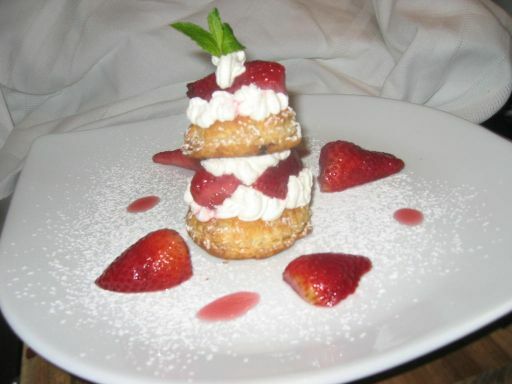 The Napoleon came out to be delicious and I am glad I decided to make it at the last minute. 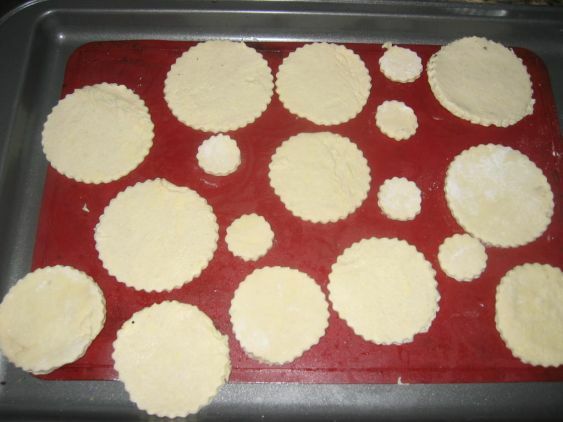 Using a pastry cutter to size the puff pastry into circles. 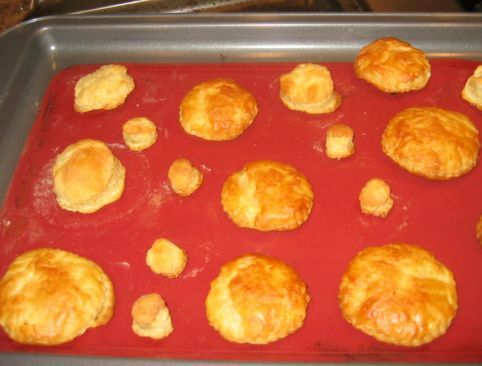 15 minutes in the oven and the puff pastry came out perfectly puffed up and golden. 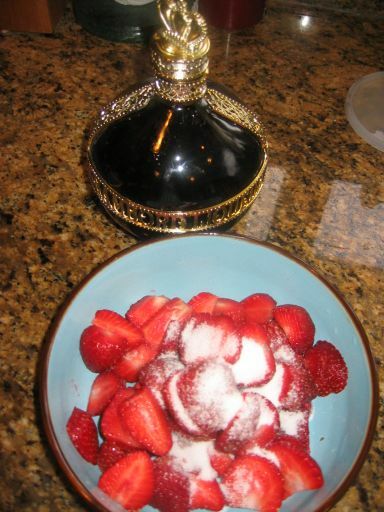 Here I am macerating the strawberries with sugar and a splash of Chambord liquor. 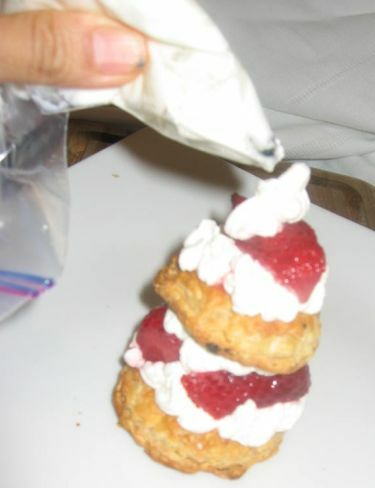 Whipped cream are piped on the first layer of the puff pastry. 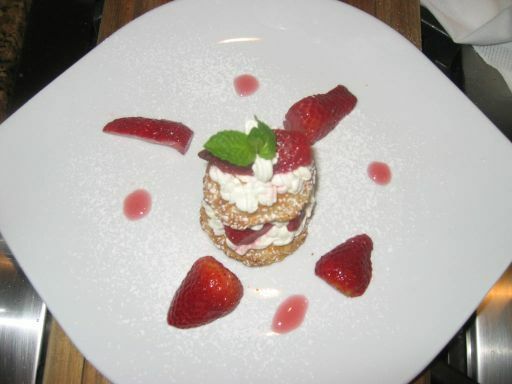 Next, macerated strawberries are added on top of the whipped cream. 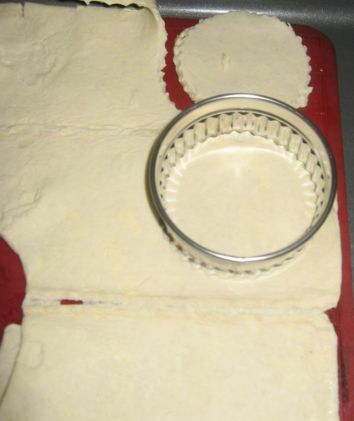 A second layer of puff pastry is added..